LONDON — Authorities in Britain have closed roads, evacuated homes and issued severe flood warnings as stormy weather hits the country. Weather forecaster the Met Office issued its highest red rain warning for northwest England and southwest Scotland, as Storm Desmond brings strong winds and heavy, persistent rain to those regions. The agency says it expects up to 7.9 inches of rainfall in the northwest region of Cumbria, especially over exposed mountains. 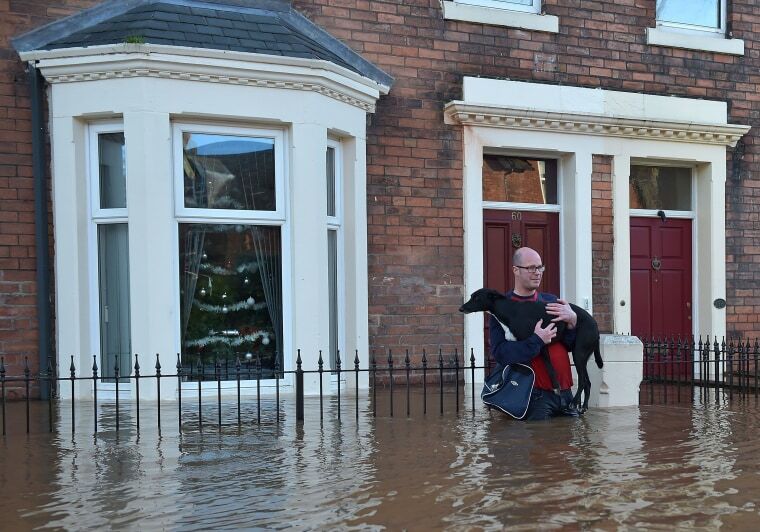 The Environment Agency also warns of significant flooding around the country as river levels rise. Dozens of highways and main roads were closed Saturday due to landslides or flooding.